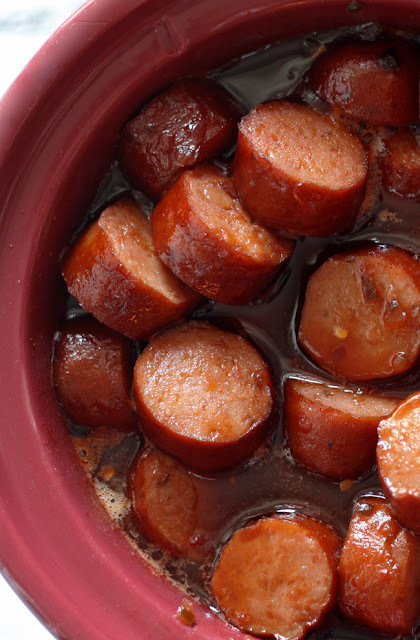 Place the sausage in your slow cooker. Add the spices to the sauce mixture, stir and then pour it over the sausage. Cover and cook for 1½ - 2 hours on high, or until the sausage is hot and the sauce is bubbly. Stir once after 1 hour.